Off The Street Kids seeks to respond to the needs of marginalized youth in South Africa at the age of 18 when State funding ceases. Many of these young people are former street children who return to the streets because they have neither the skills to support themselves nor a home to return to. Our objective is to help them find training, further education and long term employment to prevent them from having to return to the streets. 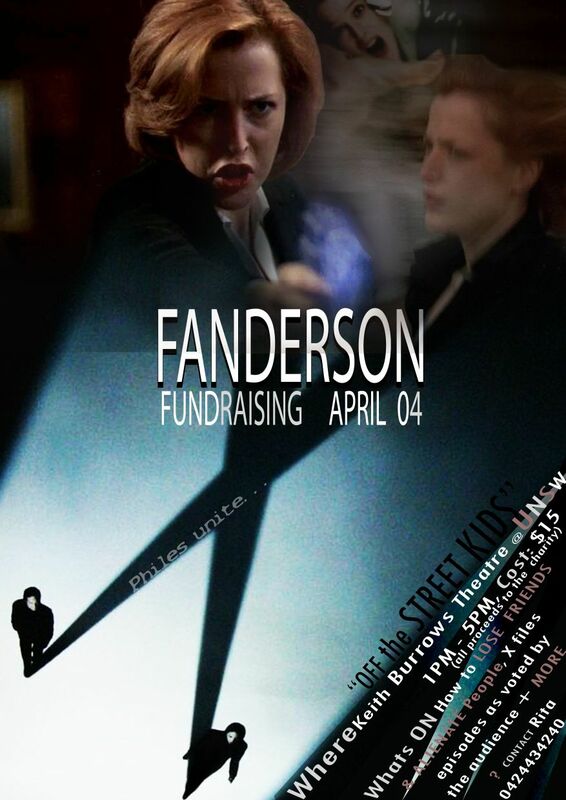 A great event to meet other X-files fans and support others less fortunate than us. Hi All and Welcome to the SpockSoc Movie free for all. This Friday we are having a Sci Fi (and possibly some fantasy) movie night. Please bring your favourite Sci-Fi movies, old and new, VCR or DVD. We will be taking a vote on the night and we will watch the winners. Hopefully we can get a wide selection and range of movies to fit everyone’s taste. There will be a pizza run during the night, the usual $5 for half a pizza and drink. SpockSoc is a UNSW ARC social club for students and staff interested in Science Fiction and Fantasy. We hold weekly screenings of new and old TV shows and Movies, usually on Friday night at 5pm. Usually there is a pizza run, $5 for half a pizza and drink. Please ensure you have warm clothes as no food is allowed to be consumed in UNSW rooms so we need to eat outside.